Back when we founded Green Hill Landscaping, we dreamt of becoming the top landscaper in the area. Today, we can safely say that no one does landscaping in Herndon quite like we do. Our services are warranted by the best business guarantee in the field. Judging by our many happily returning customers (both residential and commercial), as well as by our happy customers’ testimonials, we can safely say we must be doing something right. In fact, you don’t even have to trust us on that one. Simply give us a call at a time that is to your convenience and you’ll start to notice the many things we do, in order to ensure our clients’ full satisfaction. 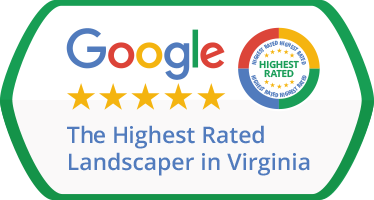 Unlike many other landscape companies in Herndon and elsewhere in Virginia, when you call us, an actual person will pick up the phone. Your query will be handled professionally and with speed, because we value your time as much as you do. Then, when we dispatch a team to your property, you’ll notice that all our technicians are always in full uniform and that they all speak English. We train our staff in Landscape Maintenance, Fertilization & Weed Control, Mulching, Flower Planting, and even Landscape Lighting, because we like to be prepared to meet all our clients’ needs. Furthermore, we take special care of our equipment and vehicles and keep them clean and maintained at all times. Did you know that dull lawn mower blades can trim the grass too short? It’s not recommended to cut the grass shorter than to 1/6th of its initial length, as that exposes it to various risks – but you needn’t worry about that, because we’ve got you covered. Professional landscaping. Herndon, you can trust us with your lawns! 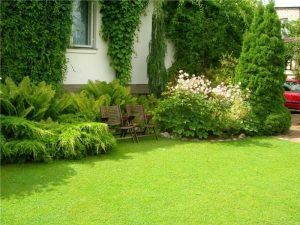 Throughout the years during which we’ve been active in the field of lawn care and landscaping, we’ve come to the conclusion that nothing is as valuable for a successful landscaper than a happy client. That’s why we’ve implemented a convenient payment system, which allows you to pay for our services online. And you’ll never be forced to pay for something you don’t need, since we’re not the kind of landscape company that locks you down in a contract you can’t get out of. We are personable, transparent, and reliable – contact us today and see for yourself if we can deliver on those promises!